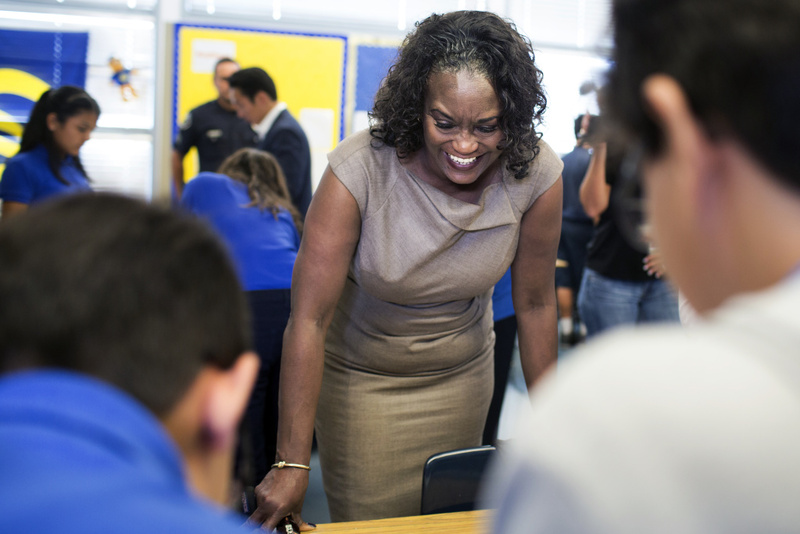 Michelle King, who has been on medical leave from her job as the superintendent of the Los Angeles Unified School District since mid-September, announced Friday she will not return to the office. King informed members of the L.A. Unified School Board she will remain on leave until June 30, at which point she will retire, according to a statement sent by the district. Long-time administrator Vivian Ekchian, who has been serving as acting superintendent since October, will remain in that role, according to a separate joint statement from L.A. Unified school board members. 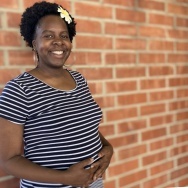 King — a district alumna and a former teacher, principal and administrator in L.A. Unified for more than 33 years — also ended months of speculation by announcing the condition that prompted her medical leave: she has been receiving treatment for cancer. 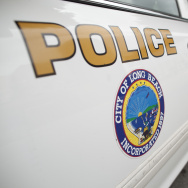 "I am very thankful," King said in her statement, "for the outpouring of support I have received from the entire L.A. Unified family, our community partners and my colleagues across the nation. As I aggressively fight this illness, I ask that you continue to keep me in your thoughts and prayers." King’s decision to depart sets up yet another leadership change at the top of the nation’s second-largest school district. In the last decade, five people have served as L.A. Unified superintendent — King, Ekchian, Ramon Cortines (twice in that timeframe), John Deasy and David Brewer. Not since Roy Romer, who retired in 2006, has an L.A. Unified superintendent served more than four years in the office; Romer joined the district in 2000. King, a graduate of L.A. Unified’s Palisades High School, joined the district as a middle school science teacher in 1984. From there, she climbed the rungs of the district ladder, becoming an assistant principal and, eventually, principal at Hamilton High School. In 2005, King moved into the district office, eventually becoming a top deputy to two predecessors — John Deasy and Ramon Cortines. In January 2016, the board named King superintendent, making her the first African-American woman to hold the post. During King’s year-and-a-half on the job, district leaders rallied around the goal of achieving 100 percent high school graduation — a goal that predated King’s time as superintendent, but which nonetheless became central to her administration. During her tenure, graduation rates topped 80 percent. King also called for streamlining the process by which parents across the district find, apply for and choose the schools their children attend. To King, giving parents easy access to these options was a means of reversing the district’s decade-long trend of enrollment decline. A new “unified enrollment system” meant to fulfill this aim began coming online this fall. Enrollment, meanwhile, has continued to decline. King reputedly had a knack for building consensus — a trait she put on public display in 2016 during a school board squabble over the district’s calendar. But King also struggled to win support for her broader strategic plan for L.A. Unified. Though she spent much of the first year putting the visioning document on paper, school board members never voted to approve it. Though that plan included goals for reducing absenteeism, a blue ribbon panel of community leaders recently concluded the district “does not have an adequate plan in place" to achieve any of King’s ambitious targets.